As a new Mom, Iris Shamus kept her eye on everything her young children put in their mouths. So when she saw her son, Benjamin, reach for a bowl of nuts, her first inclination was to move the tantalizing treats away from his outstretched arm. With a cashew firmly in the palm of his little hand, Benjamin was appeased and the crying stopped -- for about 30 seconds. At which point, he began crying for another reason. The one-year-old had turned beet red, broke out in hives and began throwing up. As it turned out, Benjamin was “one of those kids” and now Iris was “one of those Moms” that was going to be worried all the time about what someone might let her baby eat, when she wasn’t there watching. So Iris began to search online and what she found was startling. Despite the fact that one out of 13 children have food allergies, she couldn’t find any sort of bracelet or necklace that a three-year-old would be happy to wear. And that’s when the determined Mom sat down with a sketchbook. She and Benjamin created a crazy character called Nutso -- a cartoon figure who would become the first of many to make its way onto dog tags, bracelets and an array of other products that could potentially save the lives of children around the world. “My husband is in the toy business,” Iris said, “and I was once an aspiring actress, so I thought, I’m going to create a character for the top eight food allergies and give them each a storyline. I sat down with Kenny and the kids and it wasn’t long before we had seven more -- Eggie, P.Nutty, Pint, Soy Cool, Professor Wheatley, Detective Fin and Crabby. Iris took her rough sketches to a cartoonist and then began experimenting at her kitchen table. She tried putting labels on dog tags and melting plastic figures in her oven. And then something interesting began to happen -- the neighborhood kids would come over and begin asking about the crafty characters. So the stay-at-home Mom did something that she admits was pretty risky. She dipped into the family savings, without having made as much as one sales call, and found a manufacturer. She invested $25,000 and waited for 16,000 dog tags and bracelets to appear at her front door. Soon, Iris and her cast of little characters were presenting at the annual convention of the American Academy of Allergy, Asthma and Immunology and she began sending samples to national retailers. 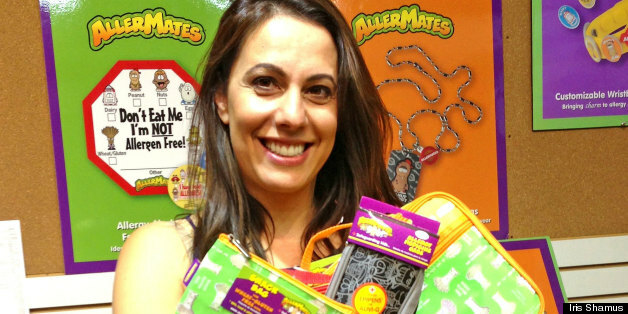 In the meantime, Iris began selling the cartoon-clad accessories, which she named AllerMates on a makeshift website and to smaller local stores. And as word got out about the company she was trying to build, friends began to step up and offer their help. As it turned out, her daughter’s soccer coach was a business consultant and another friend of the family had experience building sales teams. So with a little bit of help, ten months later, the AllerMates were ready to take center stage and Walgreens signed on for a back-to-school program. Soon after, CVS and Kmart offered them a home on their shelves as well. And it wasn’t long before parents started weighing in -- asking for products that warned of more than just allergies. They wanted wristbands for children with illnesses like diabetes, epilepsy and asthma. Today, only one year from the time this lifesaving product line hit store shelves, it has already grown to include medicine bags, lunch bags and warning stickers that can be placed on foods in family cupboards. The company has a character licensing agreement with one of the largest pharmaceutical manufacturers in the world and the AllerMates are about to become the stars of an educational series. By the end of the year, Iris is projecting a minimum of two million dollars in sales. 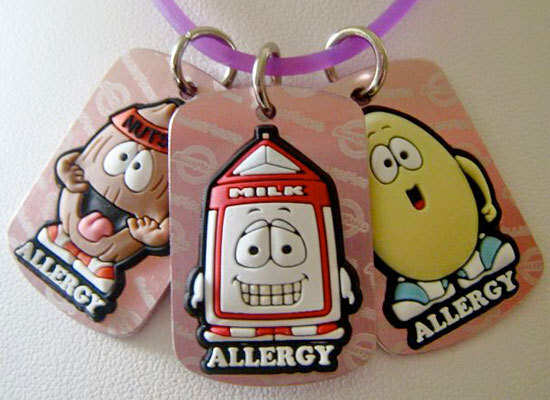 Iris knew her idea would take off when the kids in her neighborhood started asking about the AllerMates characters. The kids even remembered their names! Today, her company has a character licensing agreement with one of the largest pharmaceutical manufacturers in the world and the AllerMates are about to become the stars of an educational series.